So for the past couple of days ever since Naruto ended, I've been trying to find a series to fill the void (aside from Bleach, Fairy Tail, and Attack on Titan). 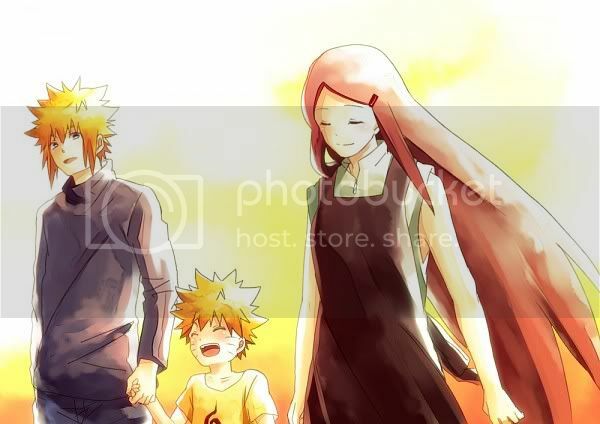 There needed to be a proper void to make things satisfying that it could take Naruto's place. So a couple weeks now, Ive came been keeping my eye on Weekly Shonen Jump's rankings, and I saw this manga get between #1 and 5 during those couple of weeks. One of my subscribers on youtube also informed me that it's been number 3 ever since it's serialization. It's also been getting lead color pages for some time now (which could be another sign. More do Now I know many of you may be wondering LuckyChi7 what's it about? To put it simple if you guys love Superheroes like Spiderman, Superman, Batman, etc. That is what the focus of this series is about, but it's not the generic type of super hero series it's got a bit of a interesting plot twist to it. The entire world of this manga everyone has a super power (born with it to be precise) at least 80% +. Since almost people have powers they want to be a superhero, and when it comes with power it also comes with great responsibility. With power also comes villains as well. That's the concept behind this manga. Now the main male protagonist, Izuku Midoriya wants to be a hero, but he doesn't possess any power. He can't do absolutely nothing. Best way to put it he's a weakling and he's a wimpy little kid, and despite that he still wants to be a hero. He continues to do so by looking to well known heroes in the story, and there are conflicts he goes through within this story. 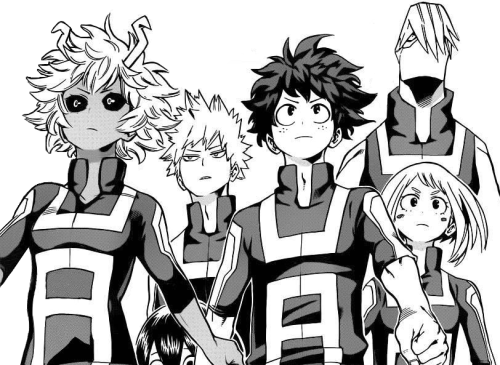 Out of all the people that surround him Izuku's the only one that doesn't have a power even though he wants to be a hero. Quite honestly that was enough for me to actually give this manga series a try, and here's what I find really interesting about it. As of now in Japan there 19 chapters in total, but there translators releasing the chapter every other day so that we could catch up to the Japanese release dates. As far as translations go there are only 10 chapters, so we're not that far behind if you consider the speed of the chapter releases as of now. Last thing I'd like to bring up is the art style, it's got that comic book feel to it. So again if you guys love comics then I'd definitely give it a shot because it's pretty easy to keep up with. That's basically all I can give about this manga without going into Spoiler territory, but if any of you are interested in reading a new manga now that Naruto has come to an end then I recommend you check this out. Edited by LuckyChi7, 20 November 2014 - 06:50 AM. For a second I read this as "Boku no Pico Academia". I thought "Wow, the ending to Naruto really has driven some people to insanity". I just started on this, and I'm liking what's been shown so far. 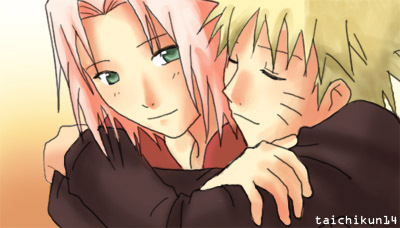 I can't help but make comparisons to Naruto in its early days, though (withdrawal symptoms, I guess). Horikoshi is building up Moriya and Bakugou's relationship well, I can't help but feel like it's an improved/better version of the Naruto/Sasuke rivalry. But that said, there's only ten scanlated chapters out so, I may be not up to date with their relationship. Edited by Codus N, 20 November 2014 - 11:39 AM. I love love love love this new series! I've only read up to chapter 10 but I can already tell this is a masterpiece in the making. I think what makes this series really appealing is it's Western appeal. As much as I personally dislike the whole factor of "appealing to the West", I can't help but point out that a story only becomes really popular if it reaches world-wide appeal. And by world, I mean America, which is even worse. :( But overall, I can definitely picture this having it's own anime come next year (or maybe two), it's on English dub, and in a few years boom it hits American television and a new Naruto in the West is born. Also the art style is to die for! It really reminds me of Naruto when it first began, except the art style in Naruto was a little crude while Boku No Hero Academia's is so nice to look at. The story has everything I like in a shounen as well. Hopefully it goes more in a Hunter x Hunter route someday. I can totally picture that happening. Overall it's a 10/10 for me because All Might is the greatest character! I'm glad I'm not the only one seeing this as a successor to Naruto. But I have a feeling it might not even last until 500 chapters. I'm hoping that won't be the case. But if it does, there's at least one series from Jump that ended around 200 chapters and is still remembered as a masterpiece on par with the likes of Dragon Ball. That series would be Rurouni Kenshin. However, RK achieved legendary status for its compelling story, and very strong characterization. If the author wants to end it at 200 chapters or so, he's going to need to do something amazing that will make the series unforgettable, like RK did with its characters. I'd be quite surprised if it does reach 500 chapters and still main the same quality. Granted this series just started so we're not entirely sure how long the mangaka plans to make Boku No Hero Academia. However I will say that if it reach a certain point, I think the two best possible ending chapters could be #200 or #300. Again I think we should just see where this goes, but I can agree that this series is the successor to Naruto, just by seeing how things are going. Ahh man its just like naruto. More or less. I liked it . I ve just read 2 chapters and yup its good. I've been looking at this series for over a week noq, wondering if I should start reading it, part of me is really tempted, it certainly sounds interesting, but it's obviously a Shounen Jump release, and I can't help but wonder how they'll manage to screw it up. The ending of Naruto has left a certain level of distrust in the WSJ manga, it's like in computer games, after a publisher dissapoints you a few times you lose you trust in all games published by that company...at the moment everything published by Ubisoft, EA and Activision goes straight on my blacklist until I see that the game is worth getting...WSJ has become the same, I still read the manga's I have been reading but new manga's I'm doubtful of. Ohh u should try this one buddy . It certainly gives a kick in my gut like naruto drama is a bit uncontrolled otherwise its a verygood manga. And it resembels naruto bleach SAO zatchbell and some other series. It has a good plot. I ve read 4 chapters so far and i am telling u i just cant stop reading. Well Magi, another great shounen manga has passed the #200 chapter mark and the quality is still decent. I say decent and not great because, as I'm sure everyone knows, once you pass a certain arc it's hard to top it off with a new, better arc. That can instantly decline a story's quality alone. And that's exactly what happened to both Magi and Naruto, but Magi still has the heart of the manga written inside of it, whereas Naruto's was possibly lost in the War arc. Hopefully Boku No Hero Academia lasts until 300-400, without any executive meddling. Dear lord please...without any. Executive. Meddling. Make this happen god please !!!! It has a potential of a great story and plot that can surpass naruto in certain things as romance and other plots kishi completely spoiled . Edited by narulsaku, 21 November 2014 - 04:36 PM. Yes agreed. I'm telling you guys, the american appeal of the story is what's going to get this baby big. It's why all shounens become popular in the West. They like heroic things, heroic comics, heroic movies. The potential is super strong in this one. I dunno. All Might is a too much of a dead ringer for Mr. Incredible/Superman. If they try to sell merchandise in the U.S., I get this feeling there's going to be lawsuit battles and that's not going to be good for the series. But that's just my paranoid mind speaking. I am thinking that all might will die like jiraya . Well u know not now probably after 150 chapters. And i really think that that the author need to work on a bit realistism. Well u know there is a bit too much drama that is eating up the action and emotion part. But i really like the devlopment and tine skip of 10 months in the hero. My favorite part so far is the punch and kicl part in the entrance exam. Damn i was blown away. Ps : please remind me the hero, heroine and side hero with glasses and that i am the coolest guy thingi guy s' name. I dont believe i forgot. And did u noticed that during the 10 month time skip hero's mom became fat from hot !!!! Well there is a small foreshadowing, regarding All Might's character. I mean only 11 chapters and he's already becoming one of my favorite characters. It's no surprise that people are already starting a pairing for Izuku and Ochako, and honestly I don't know. I can see the pairing work considering how they've been interacting in these 11 chapters, but I'm not sure if I wanna jump into another pairing after what happened with NS. However I will say that Ochako kind reminds Rin when it came to her concern for Obito. There is also the similarity with Ochako and her interaction with Izuku (Deku in her case). nahh this pairing is different than NS. It remonds me of SAO to be honest. Though asuma wasnt that interacting with kirito first but they fall in love with eachother. And here both of them ( ochako and izuku) are interested in each other which can certainly make a canon easily. I think they'd make a cute ship, too. And I do see some similarities between Ochako and Rin. They even have the same hair color. Not only that, they'd make for an awesome combo as well, which I've explained before. You actually made a bad list in many way, Naruto we all know how that ended, Bleach should have ended with Aizens defeat, SAO was really good but after the second arc ended my interest also ended, maybe it picks up again later but I can't get into it, and I've tried. Magi lost (pardon the pun) all it's magic after the war with me the dark Rukh ended, I don't know what happened but I just lost intereest in it, before that I was completely hooked, I was recommending it to all my friends, but for some reason that arc put me off the manga, and I can't even explain why, I didn't even hate the arc, I just stopped caring, Maybe i'll get back into again. Actually, the war arc is exactly what I was referring to. It is Magi's greatest arc, from chapter to chapter. In fact it was so epic that....it made all of the other arcs decline. Take example the Fullbringer arc in Bleach. One of the biggest factors of why it's the most hated arc in the series is because it felt like absolute filler compared to the End Aizen arc that the story just got out of. Bleach really should have just ended right there while finishing up the rest of it's loose ends. Not the same for Magi though. If it would have ended in it's War arc then it would have felt incomplete. The only problem is, now Ohtaka has to continue making more and more epic arcs that will surpass that arc as a whole in order to keep the reader interested. Hopefully Boku No Hero Academia won't make the same mistake. So excited to see who the main villian for this story will be.